My son, an avid outdoor blogger (www.outdoorblogging.com), joined me in a jaunt through the countryside yesterday to visit Hamill Springs. 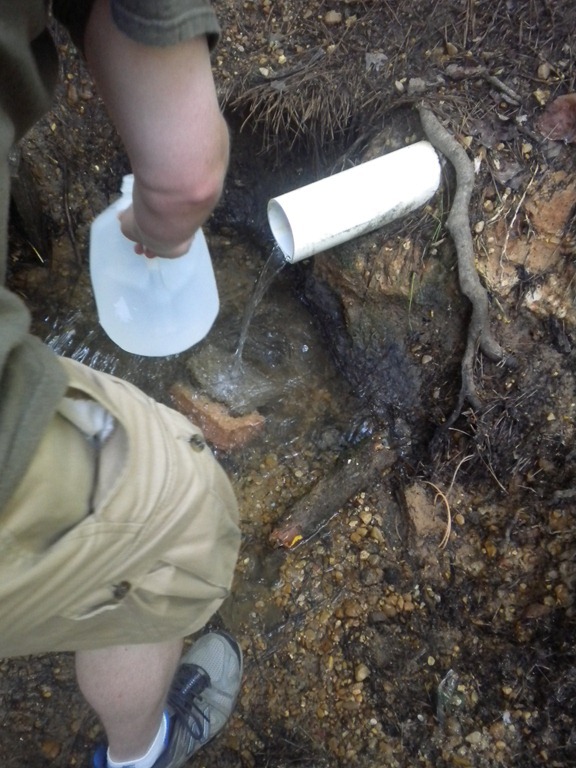 We filled a few jugs with what has been tested as the purest water in the state of Mississippi. Since our local water department has admitted the quality reports on city water has been consistently over-estimated for several years due to a clerical error, I was getting pretty dehydrated. Hamill springs has been pumping the crystal clear H2O for centuries, maybe forever. 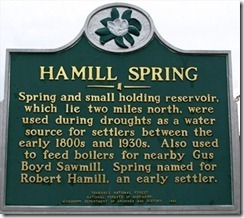 In 1841, the land containing the spring was purchased by Robert Hamill whose immigrant Irish parents migrated to the Starkville area in the early 1800s. He purchased 160 acres and discovered the spring which became a life saver for settlers during periods of drought. The spring is located in the community of Antioch and is visited daily by area residents who fill jugs and thermoses with the clear, cold water. It pumps 500 gallons each hour. Thanks to Lee Hamill, a descendant of Robert, a pipe was connected to the source, making it easier for the public to fill their jugs. The area around the spring has been developed into a small park with benches and woodland trails. 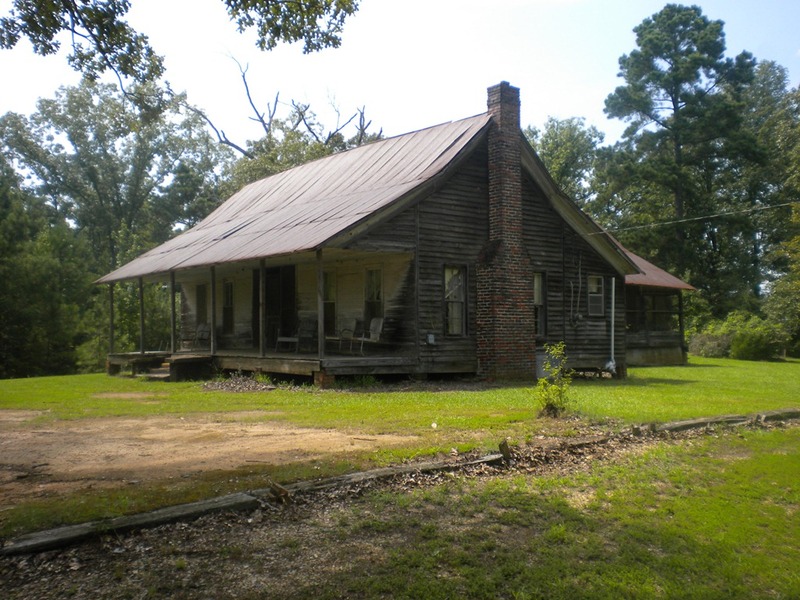 Nearby, we discovered this delightful cabin which I expect dates to the Civil War era. It appears to be empty but with chairs on the porch, it’s like someone just walked away. I would give my left arm to have such a place in the country and I do love to renovate. This place would probably do me in. But I can still dream…of gathering eggs from the hen house and milking a cow to make butter and putting up butter beans for the winter months. I think God made a mistake and I was born a century too late! 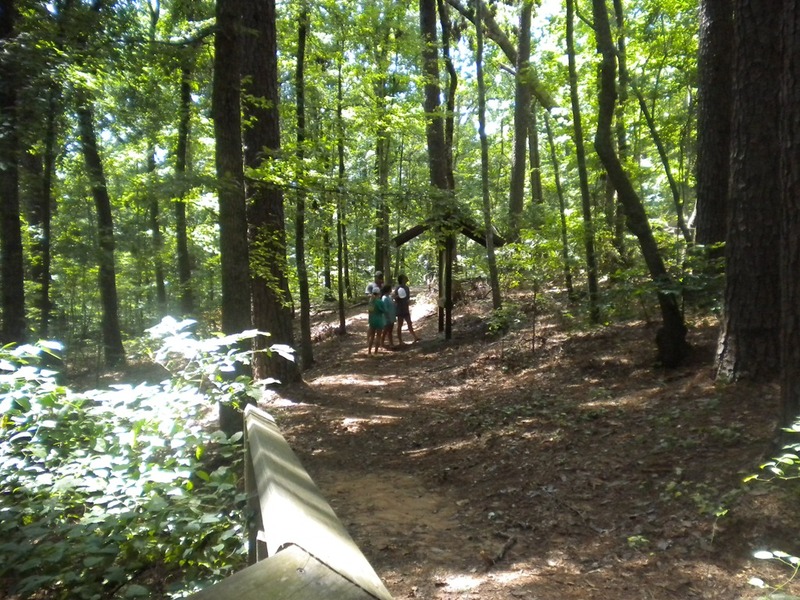 This entry was posted in General Stuff and tagged Hamill Springs, In search of pure water, Mississippi's purest water by Emily Jones. Bookmark the permalink. Went to Braddock’s blog….loved it! He takes after his mother…. So glad you enjoyed the spring! My name is Janet Hamill Carraway and I am a descendent of Robert Hamill. lee Hamill is my uncle and I am so thankful he had the foresight to preserve this place. We get water from the spring often. I would like to know where is natural water springs at those area so I like to fill up fresh pure water in some jugs and take them home. Great Grandparent’s homestead. My brother and I remembered the home, but it, as expected it was very aged. I tried to contact the Property Assessor in that area several times, but with no response. The aging mailbox still had the name Collier written on it. My Great Grandfather was Weston Hamill and my Great Grandmother was Alice Collier Hamill. Loved spending time there, and will always remember Mama Hamill teaching me to play a song on their organ. 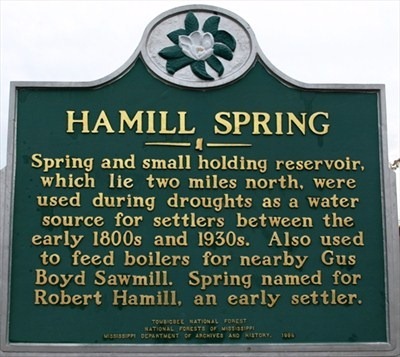 Love that Hamill Springs is still going strong, and have forwarded the ‘Purest Water in the State of Mississippi’ article to our children and grandchildren. What a wonderful heritage for all. 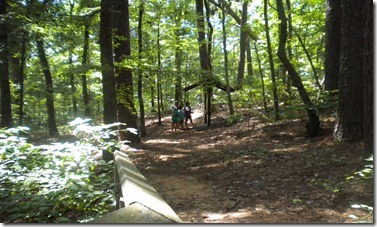 Does someone know about a natural spring located near the AL MS line? Just got a bottle of the water today.